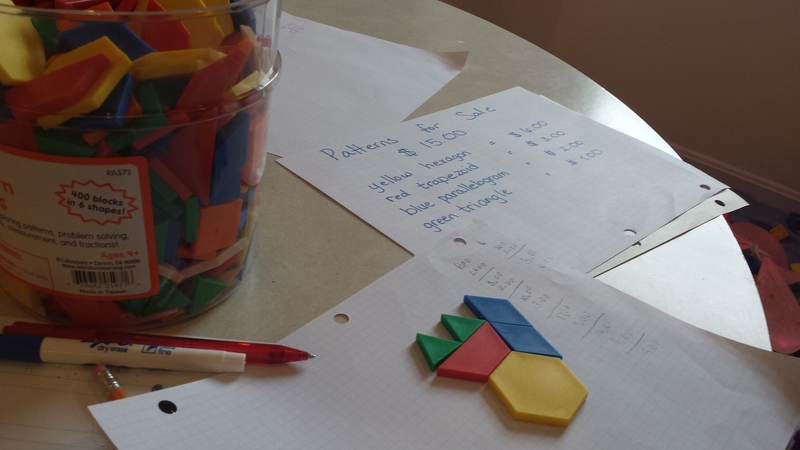 Adding with Shapes: Today’s Math Center – Happy. Homeschooling. Housewife. Today’s math center challenge for Princess Bella (3rd grade) had her use one of her favorite things, her shape pieces! I got the idea of this particular center from her Saxon work and added a few things to make it a bit more challenging. Center activities are review activities that are presented as a challenge. The girls love challenges and puzzles, so I never have to push them to complete their center work. With this center, Princess Bella was given a menu of her puzzle pieces. Each piece was assigned a price. 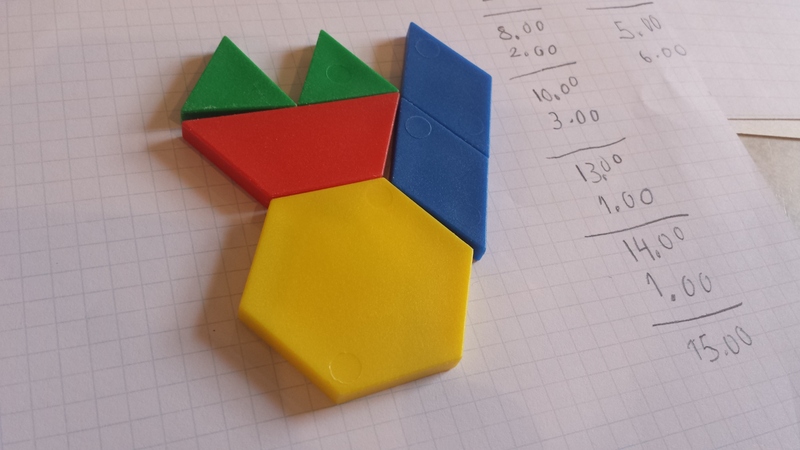 Her challenge was to design a shape that cost $15.00 exactly, no more / no less. She had to come up with as many different combinations as she could. After she designed her shape, she had to find the shape’s perimeter. She really loved doing this, and I will continue to pull it out for her, changing the total cost. This was her favorite design! Best of all, it freed up time for me to work with the little ones, which is always great! 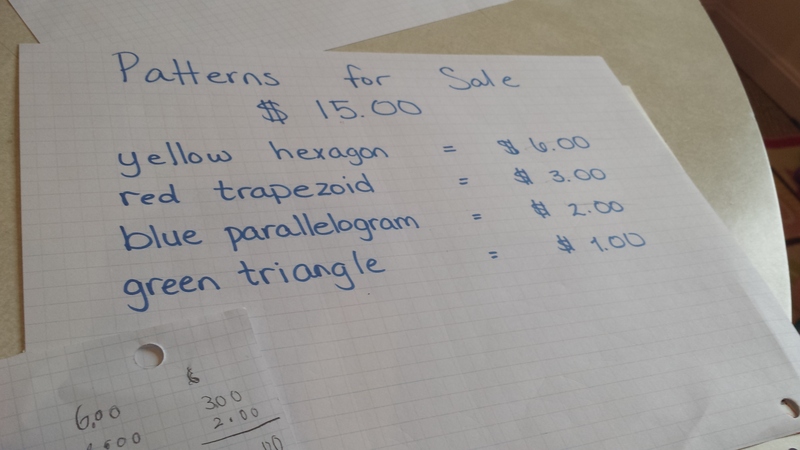 Got any math challenges your kids love, please share!